Who Knew About Emissions Issues And When Did They Know It? Did Herbert Diess, chief exec of Volkswagen, have knowledge of the diesel scam before it went public and resulted in the largest private criminal case in history? A story in Der Spiegel, an influential German newsmagazine, says yes. Read more about Who Knew About Emissions Issues And When Did They Know It? Two of Tesla's Largest Shareholders Sold Before Musk's "Going Private" Announcement Fiasco - What Did They Know? 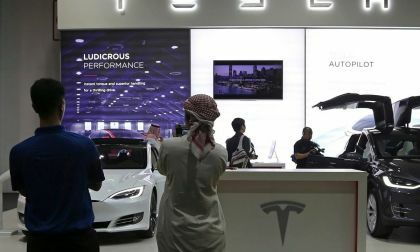 Two of Tesla's largest institutional investors, Fidelity Investments and T. Rowe Price Group sold off a significant portion of their stake in the luxury car maker before Elon Musk's comments about going private. What did they know that the public did not? 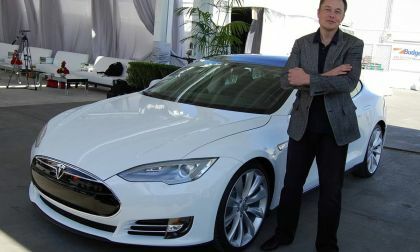 Read more about Two of Tesla's Largest Shareholders Sold Before Musk's "Going Private" Announcement Fiasco - What Did They Know? 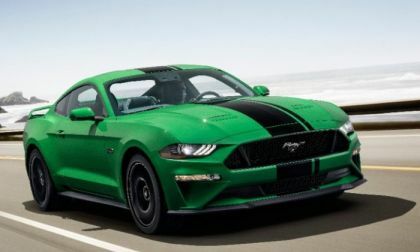 Shelby American used the 2018 Woodward Dream Cruise to reintroduce the Shelby GT package for the Ford Mustang, packing 480 horsepower into a uniquely-decorated pony car with a price starting at $61,345. 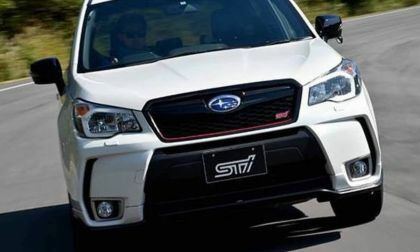 With Subaru axing the Forester 2.0XT turbo model, performance fans want a new fifth-generation Forester STI. Will Subaru Corp bring it? 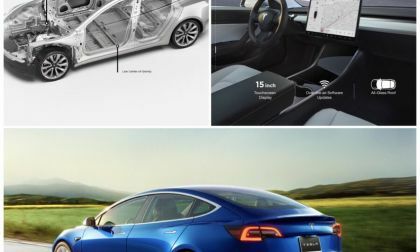 UBS takes a look at Tesla Model 3 to make a tear down assessment of its latest product to find lots of things to be impressed about the car except for the profit margin of the proposed $35,000 Single Battery Pack/Motor RWD Base Model 3 Sedan. 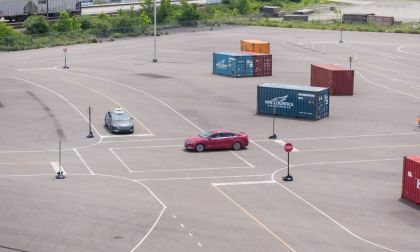 Ford, Panasonic, Qualcomm and the Colorado Department of Transportation are cooperating on a huge project to study vehicles' connectivity and communication. 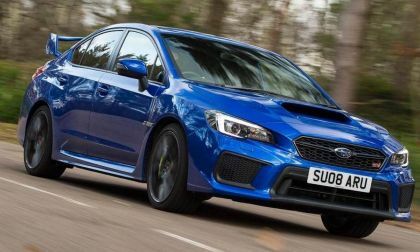 Subaru says goodbye to the iconic WRX STI in the UK with a Final Edition model. What’s in store for the STI? 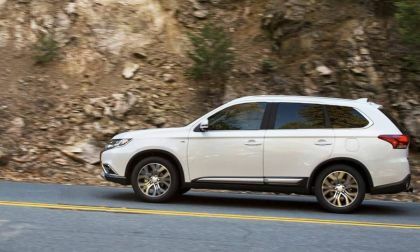 The Outlander is value packed and offers three-row seating, all-weather-capability, lots of features, and safety equipment for growing families. 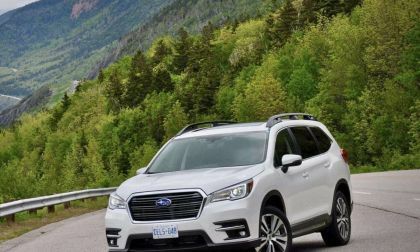 Subaru of America is recalling the new 2019 Subaru Ascent for missing spot welds. Affected vehicles will be destroyed. 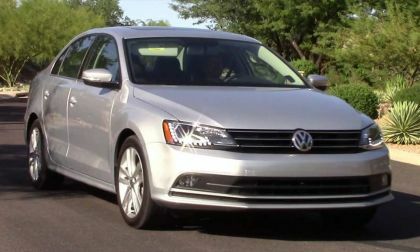 As it stands now, tuners are having a field day with VW products. 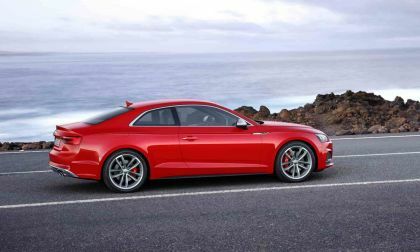 Just last week, a tuner proved he could upgrade the Audi S5 and make it more powerful. 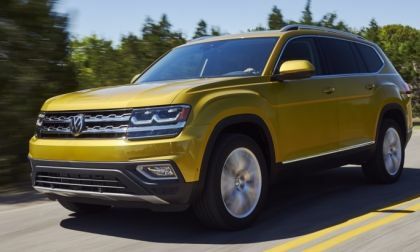 Now, another tuning firm has decided to tune the Atlas SUV. The results are incredible as the engine turns out 350 hourspower and 350 pounds-feet of torque. The former torque figure from a curren SUV is 235 pounds-feet of power. It ain’t easy being a multi billionaire running a Fortune 500 company with a $1 billion USD debt payment looming in March. But the market sent a message today: wipe your tears rich boy and do your job: people’s lives and working class jobs are on the line. 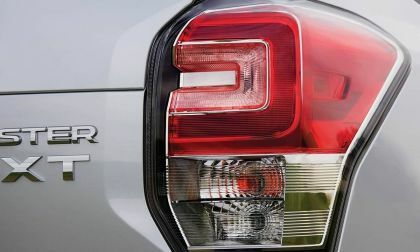 Subaru announced pricing on the all-new 2019 Forester SUV. Forester is the second nameplate to offer a new infotainment system. 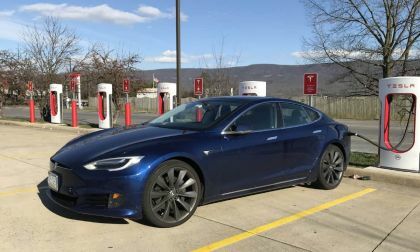 With the growing rapid output of worldwide EV production, the glaring reality of supply and demand becomes more obvious as to which key players in the auto industry are prepared for battery shortages and which ones are not. Regardless, if the company you buy a BEV from is not one of “the big three,” you should expect you car order to be delayed because of battery shortages by the factory. Read more about The Worldwide Car Battery Shortage and is Your New Car Order Affected? The push for autonomous vehicles is expected to force dramatic changes to the interiors of passenger vehicles.Where would you sit if you didn't have to drive? 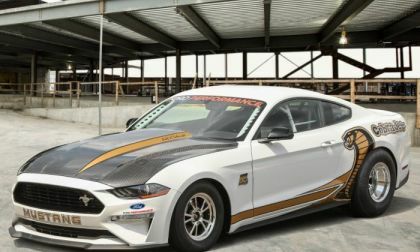 The 2018 Ford Mustang Cobra Jet drag racing package will make its formal debut this weekend at the Woodward Dream Cruise, but Ford Performance offered up all of the juicy details of the new race car earlier today – a car which is likely to run well into the low 8-second range in competition. 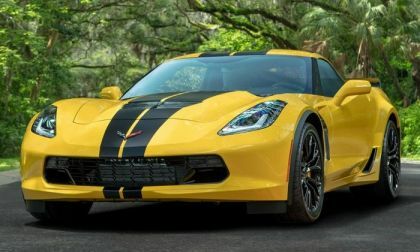 Hertz car rental service turns 100 years old in 2018 and to celebrate the company centennial, they will offer a special Hertz 100th Anniversary Edition Corvette Z06 at a handful of airports around the United States – making it easier to rent the 650 horsepower American supercar. 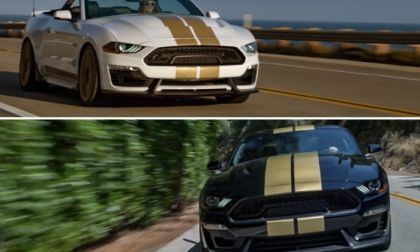 The 2019 Ford Mustang officially went on sale last month and it is already getting a price hike while the Chevrolet Camaro pricing is going down, although the Mustang’s hikes are nowhere near as dramatic as the Camaro’s price cuts. Is Forester getting soft? 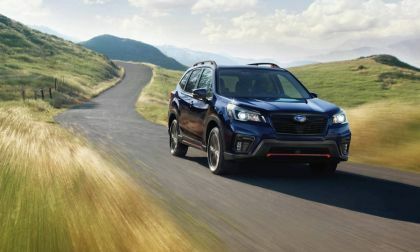 Subaru brings the new 2019 Forester Sport trim. What sets it apart for adventure enthusiasts. 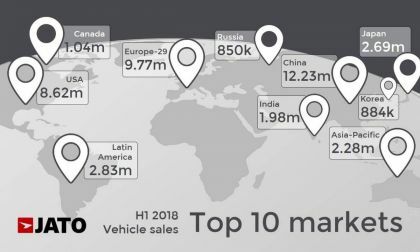 Ford F-Series ranks first again as the best worldwide selling car in the 1st half of 2018, showing an increase of 3% in comparison to the last year’s result. U.S. market is the third largest global car market. At one time about 750 years ago, a bunch of guys called alchemists tried to turn lead into gold. That they didn't know anything about periodic tables and metals related to lead didn't deter them as they were convinced they could do it. It's too bad they didn't know, they would have saved lots of time. Today's conversions in the auto world work a lot better as this Tesla-Audi Swap. Read On. 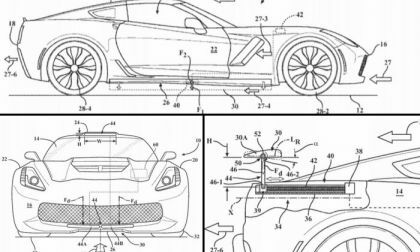 Based on a series of patent filings from General Motors, the automaker is developing new active aerodynamic components for the Chevrolet Corvette, including a new rear wing, side skirts and unique ductwork in the front end and on the roof. 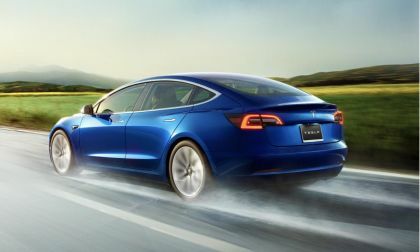 Tesla CEO Elon Musk recently revealed that Tesla’s battery development people have come up with a lighter weight and cheaper design of the Model 3 battery pack. 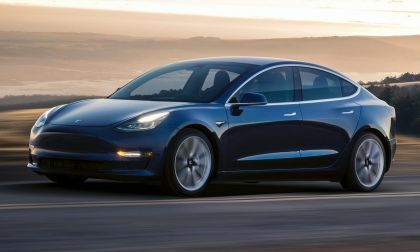 This can be a game changer not only for the elusive Base Model 3, but across the entire present and future model range. 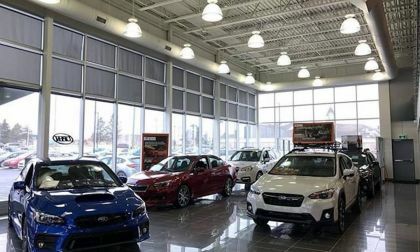 Subaru has the lowest inventory of any automaker. See what it means for customers. 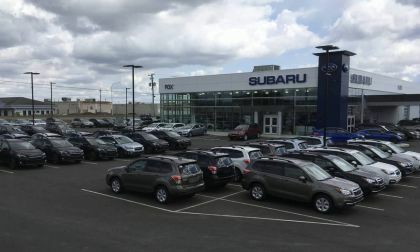 Read more about Subaru Has Lowest Inventory Of Any Automaker; Does It Help Or Hurt Customers? The Tesla news blindsided and shocked the world. A stock exchange wasn’t notified, neither was the Securities Exchange Commission. Not even the board of directors of the company that was affected by the news. Stock prices went crazy, its stock was eventually suspended, everyone who’s anyone about billions denied they were asked to help, and a moment of explanation finally came: Elon Musk wants Tesla to go private, he wants an equity leveraged buyout, and he wants the Saudis to finance it. The folks at Hennessey Performance have published a video of the 2019 Chevrolet Corvette ZR1 with the automatic transmission working out on the dyno in stock form and the numbers are pretty solid, with the 755-horsepower LT5 sending 654 horsepower to the rear wheels – a loss of about 13% between the crankshaft and the wheels. 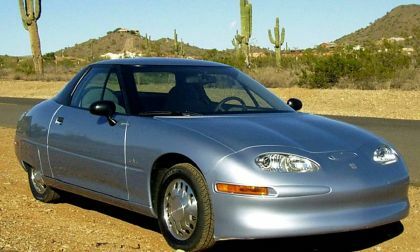 Many people think GM destroyed the EV1, but apparently it was never meant for sale. Here is what happened in reality. Subaru says there are three reasons why they axed the popular Forester 2.0XT. 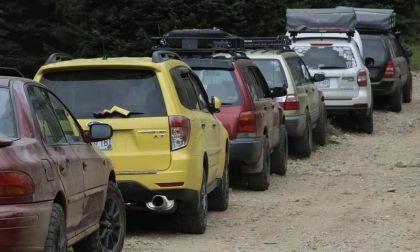 Will loyal Forester XT enthusiasts buy the explanation? 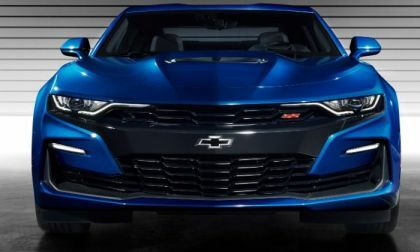 The EPA has announced their official fuel economy ratings for the restyled 2019 Chevrolet Camaro and remarkably, fuel economy numbers of the new car are down among V6 and SS models, while the turbocharged 4-cylinders remain unchanged and the ZL1 gets a little better fuel economy. Even with incentives, the average price of a new 2018 Subaru Outback, Forester and Crosstrek are going up. 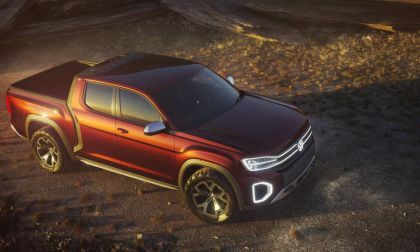 Will the VW Tanoak be built? Looking at all of the potentials, there's only one firm answer to this question: only VW knows the answer and it isn't talking.